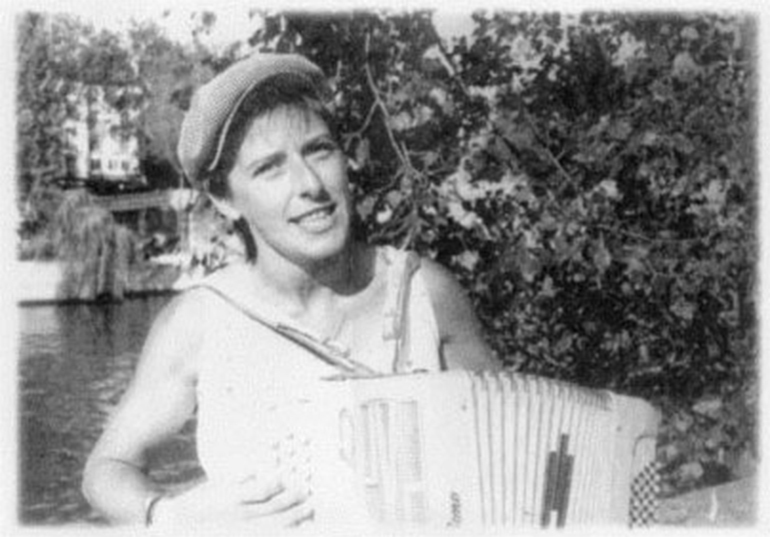 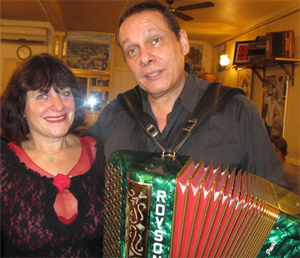 Songs and accordeon : every friday and saturday with Minelle. A street musician, Riton also appears upon request at any private or public setting. 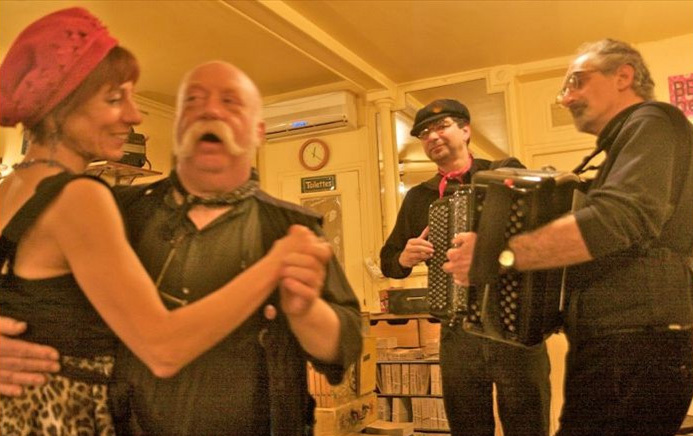 You can see him every thursday at Le Vieux Belleville, and, if you are inclined to do so, may join and sing with him : his smile will only grow larger and his legendary moustache be even more beautiful ! 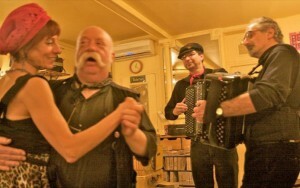 From time to time Le Vieux Belleville welcomes these exceptional artists for special evenings. 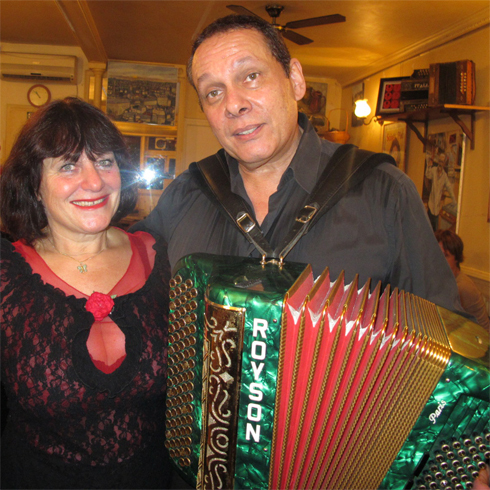 Piaf evenings with Michel Refutin (accordion) and his singer, every tuesday night. 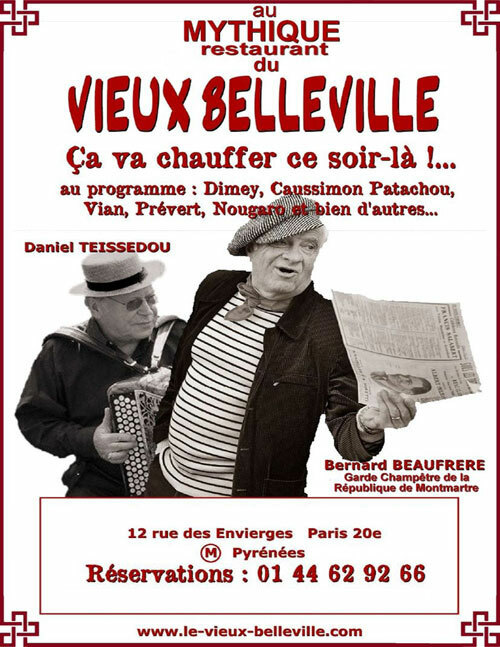 Tu es partie on me l’a dit.